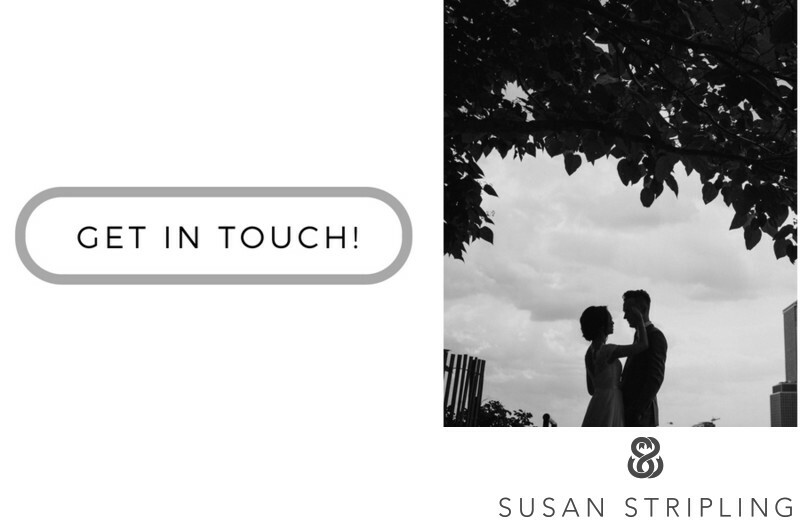 While I photograph many engagement sessions for my wedding clients, I also photograph many engagement sessions for New York, Philadelphia, and Brooklyn-based brides and grooms who are getting married in another state (or even country!) but who want their engagement images taken in the city where they live. I also shoot many sessions for couples who neither live nor are getting married in New York, Philadelphia, or Brooklyn, but are visiting the city and want to be photographed while they’re in town. Sometimes I even get the great pleasure of venturing out of my local area to photograph engagement sessions, and that’s great fun as well. This beautiful session was photographed in Celebration, Florida, and I was immediately charmed by this fantastic location. As a former Florida resident myself, I miss the beautiful, burnt-gold sunsets in the sunshine state! This location was meaningful to the couple since they lived in Celebration and called that area home. 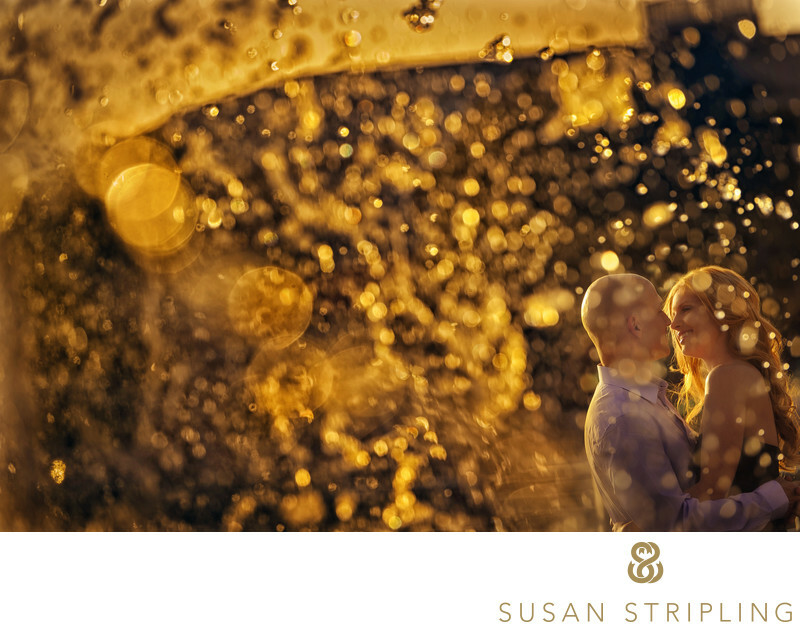 I love how the beautiful dark backdrop really allows the gold sunset to illuminate the droplets from the fountain. I love how the lens compression of the Nikon 70-200mm f/2.8 helps separate the subject from the background and foreground in a compelling, beautiful way. I also love that my clients took my advice about the time of day to shoot, putting us outside by this amazing fountain at the perfect time. I always like to shoot portraits about two hours before sunset, so that the sun drops further in the sky during our session. If you’re getting your portraits taken in New York City or Brooklyn, however (and even Philadelphia), we might have to start a bit sooner, since the sun goes behind the buildings before it’s totally dark outside. We want to make sure we get to work with the light before it’s all gone, no matter where we’re shooting your portrait session! 1/1000; f/4.5; ISO 200; 200.0 mm.